Basil leaf is a wonderful herb, also known as Great basil or King of the herbs or Royal Herbs, because it has many uses not only in cooking, but also in natural medicine and many more. 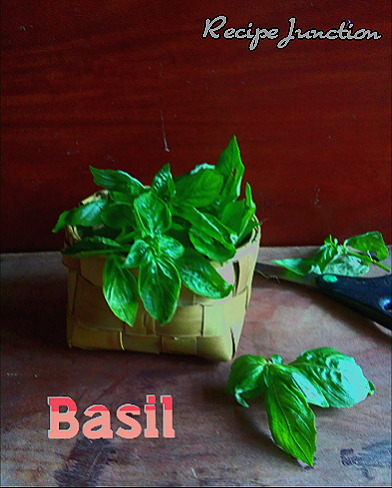 Basil is native to India and many South Asian countries like Indonesia, Thailand, Malayasia, Vietnam, Taiwan, etc. Depending on the species, the leaves may vary in taste from strong, pungent till sweet. 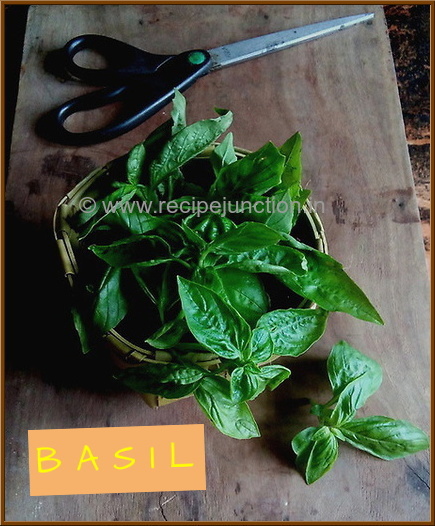 Basil is also prominently used in Italian cuisine which is more sweet in taste than pungent. In my locality, it is very unlikely to get Sweet Basil but I was so lucky to have few packs of fresh basil few days back in a newly opened supermarket. 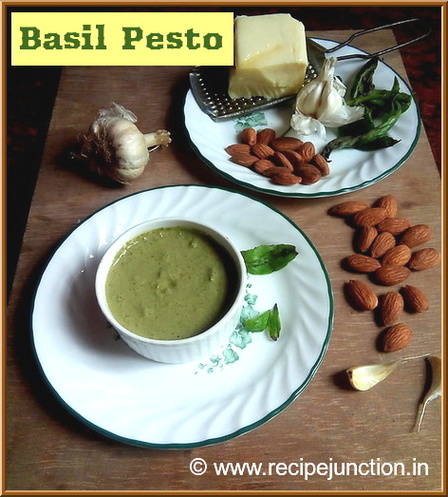 My blogger buddy Chandrima of Not out of the Box has posted a Basil Pesto recipe at the same time, too. So, I was sure that I am going to try her recipe as it was quite tempting and super healthy too of addition of nut in there and without any cheese. 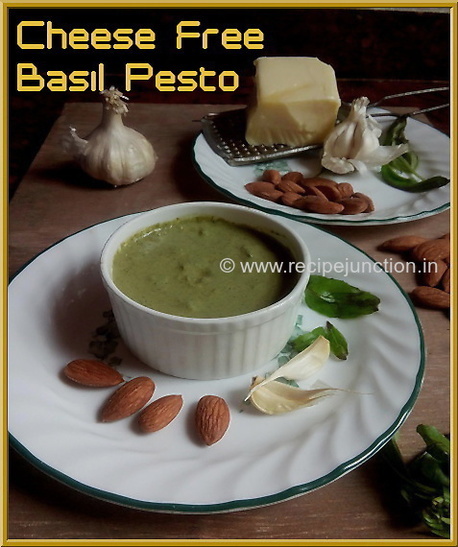 Usually, most recipes available for basil pesto is with cheese, I loved her cheese free version and followed the recipe as it is. But I couldn't control my temptation over cheese and made a cheesy basil pesto pasta with my cheese-free pesto. I'm going to post the pasta recipe soon just after this. 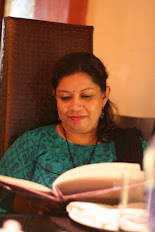 Head over to her page for many wonderful recipes and tempting food photos. Extra virgin Olive Oil : 2-3 tblsp. Tear out the leaves from the stalks. Wash in cold water first and then dip the leaves in a pot full of boiling water for 5 minutes. This way you can disinfect the leaves. Now, take a food processor or blender. Add almonds first and pulse until a coarse powder forms. Now, add basil leaves and garlic pods and pulse till they are blended well. Add oil and salt and blend till a smooth paste forms. Basil pesto is ready to savour. You can have this with crackers, on toasts or make pasta with it. Choice is yours. 1. You can refrigerate the fresh basil leaves but it doesn't stay fresh not more than a day or max. two. 2. Do not use the wilted leaves in pesto. It may alter the taste of pesto. I'll post the pasta recipe soon...so visit this page again soon for a yummy cheesy pasta recipe.